Requires full size pickup with a Class III receiver hitch. 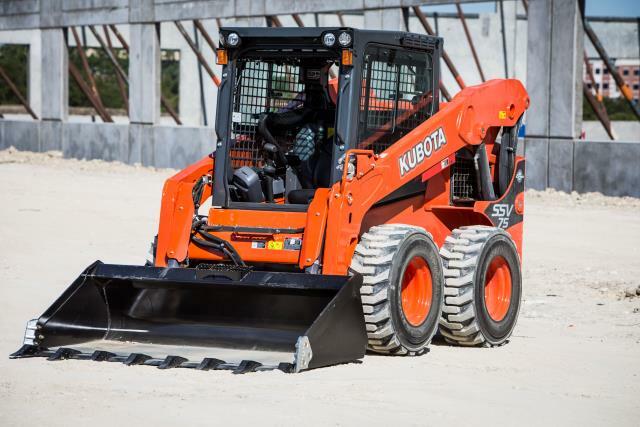 Heavy Duty Kubota Skid Steer loader with rubber tires. - Weighs: 6,790 lbs. - 72" wide - 80" tall. - Lift Capacity: 1,950 lbs. - ISO Pilot controls for the experienced operator. - 105.6" to bottom of level bucket to dump into tall trucks. Equipped with auxiliary hydraulics for hydraulic attachments. Hydraulic Pump Flow: 19 gpm. Trailers and/or same day delivery is available. 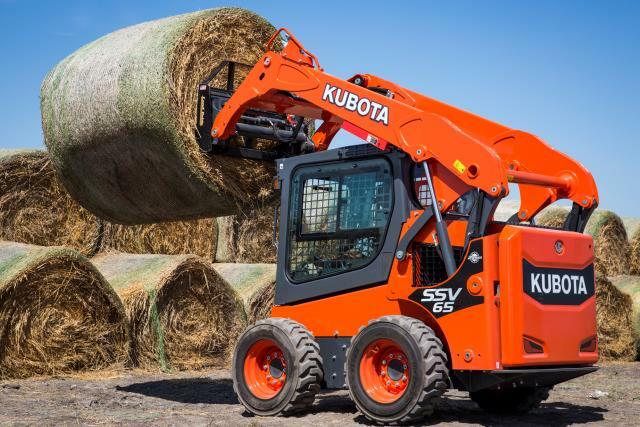 * Please call us with any questions about our loader rubber tired uniloader rentals in Oak Grove MO, Blue Springs MO, Independence MO, Lexington MO, Odessa MO, Independence MO and Western Missouri.